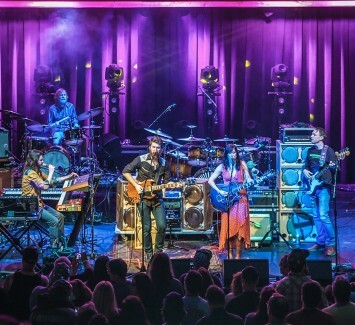 Midnight North is fronted by guitarists and vocalists Grahame Lesh—son of Grateful Dead bassist Phil Lesh—and Elliot Peck and rounded out by bassist/mandolinist Connor O’Sullivan and keyboardist/guitarist/vocalist Alex Jordan. Expect flares of country on tracks like “The Highway Song” and “Greene County”, tinges of soul on the likes of “Back To California”, but mostly good solid rock and roll. With strong melodies and stronger harmonies, for this band, it comes down to one thing: the song.